(NAN) A Nigerian, who styles himself as Pastor Ernest Chigozie Mbanefo is the mastermind of the suspected Ponzi scheme known as MMM Nigeria. According to an online report, Mbanefo is based in South Africa. Nigerian Communications Week said Mbanefo registered the site MMM-Nigeria.net domain on June 7, 2016 about at about 5 pm Nigerian time. NCW quoting Pageone report written as far back as September said Mbanefo made a single year domain payment. The domain will expire on June 7, 2017. 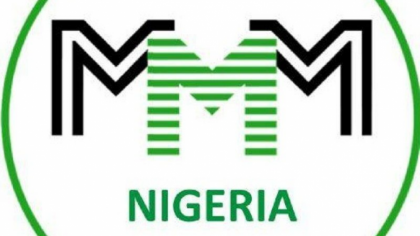 It was also revealed that MMM Nigeria is not part of MMM Global – a Russian company that was responsible for one of the world’s largest Ponzi schemes in the 1990s. MMM Global was founded by Russian politician Sergei Mavrodi, his brother Vyacheslav Mavrodi and Olga Melnikova. But like MMM Global, the Nigerian scheme is also a pyramid marketing scheme where an investor gets a 30 per cent return on investment. Around the world, MMM is feared. In January 2016 the Chinese government banned MMM on the grounds that it is a pyramid scheme, (Ponzi scheme), and it is not registered in the country (and as a fraudulent scheme cannot be registered. MMM recently crashed in Zimbabwe: Thousands of ‘Mavrodians’ in Zimbabwe were left in tears when the scheme crashed, losing tens of thousands of their lifetime savings. PageOne gave Mbanefo’s address as 1 ROYAL STREET, LINDBERG PARK, JOHANNESBURG, SOUTH AFRICA. According to Page One, on the 15th of July, Ernest was awarded a certificate of completion of an online course titled ‘MMM Guiders School’. The certificate was supposedly signed by Sergei Mavrodi himself. He has since given himself the nickname the ‘Super Guider of MMM’. To share news and information about MMM, Ernest also operates a subdomain ‘news.mmm-nigeria.net. The site praises him and projects him as the leader of the Ponzi Scheme in Nigeria. In an online interview Friday, Mbanefo however denied owning the MMM franchise in Nigeria. “I do not own MMM Nigeria. The original website of MMM Nigeria is nigeria.mmm.net. All I’ve done is to use my knowledge of web designing to launch mmm-nigeria.net,” Mbanefo told Concise News. Asked what his affiliation with the Russian politician and brain behind MMM Global, Sergei Mavrodi, is, Mbanefo said he has never met Sergei Mavrodi before. “I have never met Sergei Mavrodi before. Mavrodi does not even know about my activities in the MMM program,” Mbanefo told Concise News. “I’m not recognised by Mavrodi, I am only a smart participant,” he added. The main domain has been registered since 2014 and will expire 2017 July, like I know, it can be easily extended within few minutes. the most important thing is where the domain is domiciled. Nigerian government should fix this this country, care for the people, let people effort, Tax, labour education, shares, counts to their survival, we are in a country where resources are wasted, even our the public tax are wasted. Up till this moment, the current and past government has been unable to fix our power issues, you still can’t do a business that require electricity, the headache is enough to close down. At this moment, nothing has been fix, or less than a pass mark of Nigerian problem has been fix, the rain is falling but the fall is a weakling. The Federal government can warn against this scheme, and provide a lasting alternative solution to it by utilizing the resources the current situation in the country which has been caused by mismanagement of the country resources, in reality, MMM should be the last thing on government mind. People who are into it has been warned of the danger in it.